W. Randall (Randy) Jones is an author, publisher, and media executive who has spent 30 years in the publishing, TV, Internet, film and media businesses. 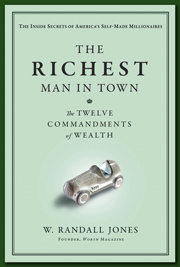 He is the founder of Worth, the financial lifestyle magazine for active, wealthy investors. Mr. Jones launched Worth in February of 1992 and was the guiding force behind its growth to 500,000 circulation in just three years. Mr. Jones’ success with Worth landed him on Adweek’s “Strongest Performers” list and Folio’s “40 Under 40 Achievers” list. Often regarded as an industry maverick, he became the youngest publisher of a major magazine in history when, at age 29, he took the helm of Esquire magazine (later sold to the Hearst Corporation). A serial entrepreneur, Mr. Jones spearheaded the launch of The American Benefactor—the first magazine about philanthropy from the donor’s perspective—and he bought Civilization: The Magazine of the Library of Congress, which he later sold to the Atlantic Monthly. 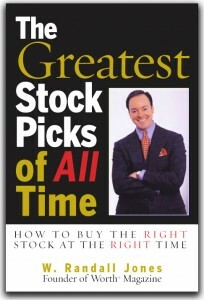 Random House published his first book, The Greatest Stock Picks of All Time, in 2004. He has served as the voice of the ABC Radio program “A Minute’s Worth,” syndicated daily to 4,600 ABC radio affiliates, and is a frequent public speaker on the interests, lifestyles, investment habits, and success formulas of America’s wealthy. In addition, Jones is a frequent commentator on numerous television shows, including Today, CNBC, CNN, CNN–FN, and Fox News. A graduate of the University of Georgia School of Journalism in 1977, Mr. Jones was honored to receive the school’s John E. Drewry Award as the outstanding alumnus of the year, and in 2002 he was awarded the Alumni Merit Award—the highest honor awarded to alumni of the University of Georgia. 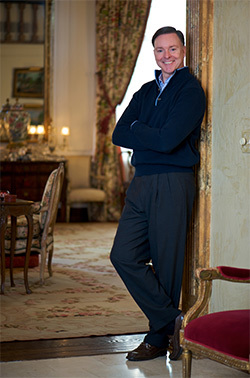 Mr. Jones calls both Carrollton, Georgia and New York City home. He is married to his childhood sweetheart, Connie Cole Jones, and has three sons, Cole, Chance, and Charles.